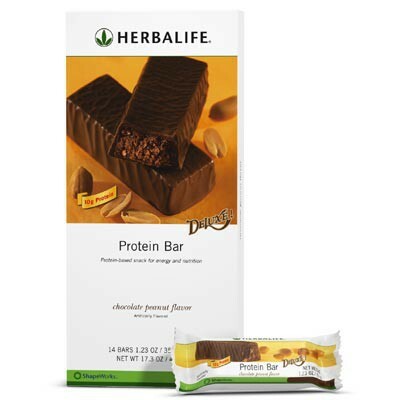 A new kind of Herbalife protein bar packed with essential vitamins and 10g of protein for healthy snacking. These rich and chewy bars are packed with essential vitamins and 10g of healthy protein to keep you feeling full while helping build and maintain lean muscle. Three popular flavor combinations covered in rich chocolate coating satisfy your cravings. Delicious and satisfying so you don't feel hungry or deprived. Scientifically formulated to provide nutritional support between meals. Power-packed with a blend of vitamins, minerals and other essential nutrients the body needs to maintain good health. Available in three chocolate-covered flavors: Chocolate Peanut, Vanilla Almond and Citrus Lemon.